I love interacting with other writers on the internet. One Facebook group I belong to has been particularly helpful. Comprised primarily of mystery authors and members of Pennwriters, I find the insight of my partners-in-crime at How Many Pages Did You Write Today invaluable; particularly when it comes to the nuts and bolts of story structure. When I was slogging through SOVRAN’S PAWN, I posted a whiny complaint about my story and how much I hated this part. “You must be at the meaty middle,” one author chimed in. Sounds easy, right? You try it sometime. It sounds easier than it is. The rocks you throw at your protagonist need to drive the action forward and force the character into growth and change. All of this has to be done in such a way as to entertain your reader and not come across as contrived. Make your protagonist as miserable as possible. Make your protagonist suffer in such a manner that the climax and resolution are inescapable. Again, sounds easier than it is. It wasn’t until mystery author Kaye George reminded me of a little nugget I had forgotten. Your first and third act, you plot from your protagonist’s point of view. The second act, you plot from your antagonist’s point of view, then write it from your protagonist’s point of view. Sounds complicated? Not really. If you think about it, who is throwing the figurative rocks at your protagonist? The antagonist. Who is calling all the shots, pushing your protagonist towards the inevitable showdown in the climax? Why, the antagonist, of course! Wait a minute? Acts? I thought you were talking books, not plays! Well, yes. But the story structure does apply to both novels and plays. 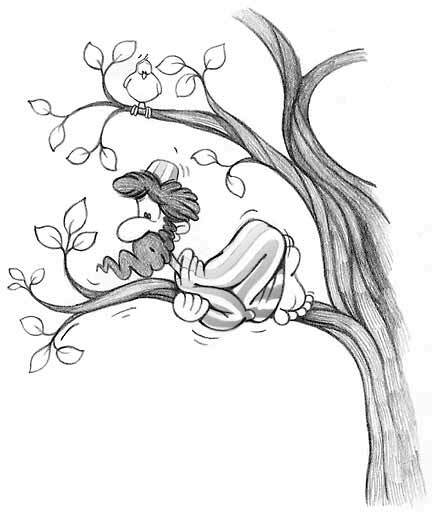 The first act establishes your character’s sense of normal and ends with the inciting incident that pushes your protagonist up the proverbial tree. The second act exists purely for the torture of the protagonist as he/she tries to decide a course of action. There is a major, mid-point plot reversal. You think things are finally going to work out for your protagonist, but something happens that lands him/her in deeper water than when they started. The rocks you throw continue to get bigger and bigger until your protagonist is clinging to the last bit of hope. Act three begins with the decision. The protagonist chooses and makes a sacrifice of some sort. There is a dark moment when it looks like they’ve chosen wrong. That’s when the author rewards or punishes the character for being so entertaining. In the end of the final act, a new normal is established for your protagonist. But there is that pesky second act to deal with. The first and third are easy. Set ‘em up and watch ‘em fall. The second act is all that fun stuff in between during which your protagonist deals with the situation, makes sense of it, rails against it and finally snaps and gets proactive, rather than continuing to be reactive. For me, I get so caught up in my protagonist, that I forget my antagonist. It’s a major flaw in my story crafting. After all, what would Sherlock Holmes be without Professor Moriarty? Superman without Lex Luthor? 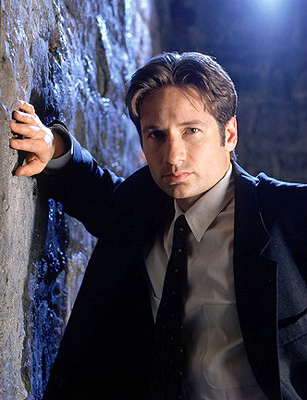 Fox Mulder without the Cigarette Smoking Man? Yeah, I’m reaching. It’s late and I’m tired. Cut me some slack. No. That’s the one thing you must never do to your protagonist! Push harder! Your antagonist wouldn’t sit back and let your protagonist call a time out! Pushing at this point makes your protagonist brilliant. He/she has to be. That, in turn will make a story shine. The next time you sit down to read a book or watch an episode of Doctor Who, try breaking up the story into its basic three-act structure. Where is the inciting incident? Where is the mid-point plot reversal? Where is the decision? The dark moment of doubt? Where is the payoff? Has the second act been plotted from the antagonist’s point of view? Tell me, what have you discovered? What a great post and such great advice. You just helped me out of a plot hole. Thanks so much. Mission accomplished! So glad I could share some tips that have helped me. I love the idea of plotting the middle section from the antagonist’s POV. Awesome post! Thanks for the shout out! I think you adapted what I said, since mystery writers plot the whole thing from the POV of the villain (then write from the POV of the sleuth), but I’m so glad it worked for you! Different strokes for different genres, eh? Write on! Thank you for the correction Kaye, I couldn’t find the original post so I paraphrased.